Aperture users: 3 ways Lightroom could drive you mad! Stacking is a great invention. It means that related images are grouped together, so that every shot in a continuous sequence can be grouped as a stack, for example, and edited images can be stacked with the originals. Aperture and Lightroom both do stacking, but not in the same way. In Aperture, when images are stacked, they’re stacked EVERYWHERE. If you stack a couple of images in a project, they’re also stacked in every album, smart album or light table they appear in. What’s more, you can choose different stack ‘picks’ for different albums – so if you have an album of black and white shots, you can make the black and white image in the stack the ‘pick’ that’s displayed when the stack is collapsed. Brilliant. 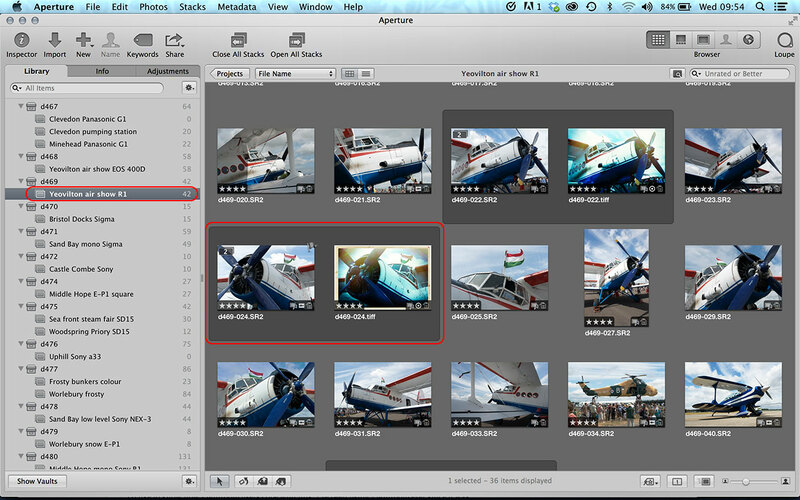 We’re in an Aperture project and I’ve stacked two versions of a picture of an Antonov AN-2 biplane. One is the original, one is an edited version and they belong together. In this project is an album containing the two Antonov pictures. Because I’ve grouped them in the main project, they’re grouped in the album too. If I do a global search for “antonov”, these two pictures appear in the search results, and they’re stacked together here too. If I create a new album for ‘Lo-fi effects’ and drag only the edited image into it, the original version still comes with it. Because I only dragged the edited version, though, it becomes the new stack ‘pick’ for this album – note the ‘tick’ badge at the top of the thumbnail. In your opinion, how do some of the other applications stack up against Aperture or LR 5 with file management? Specifically, I have been looking at Capture One’s management scheme. I haven’t spent enough time with Capture One’s yet, but I’ll let you know! At first glance it looks a lot like Lightroom’s, with folders and albums kept separate. The ability to brush in/out most adjustments, including the ability to select the effective range, e.g. highlights, mid-tones, etc. The Color adjustment is very useful, relatively easy to use and powerful. Aperture has an outstanding curves adjustment that is arguably the best out there, or at least the equal of any other software. The ability to create multiple adjustment bricks. In some cases a perceived advantage of Lightroom may be a lack of experience or training. I have heard it oft repeated that Lightroom has better sharpening capabilities vs. Aperture. Perhaps it does, but I do not feel limited by Aperture in this area. The edge sharpen adjustment is fairly sophisticated, can be brushed in and out, etc., but perhaps most importantly I can use multiple edge sharpen bricks, to finely control sharpening throughout an image. I think the best approach, when deciding between these and other asset management/post-processing programs is to try them out. Each program will have its strengths and weaknesses. Each will have its own particular paradigm that may or may not resonate with the user. The users photographic interests may also push the decision in a particular direction, e.g. you have to have a specific integrated adjustment that you use regularly. I feel Aperture’s two most significant weaknesses are perception and education. Perception, because Apple is secretive and releases fewer major, paid upgrades vs. Adobe, giving the impression that the product is languishing. I have a somewhat different view and will happily see 3.6, 3.7… arrive as no cost upgrades. 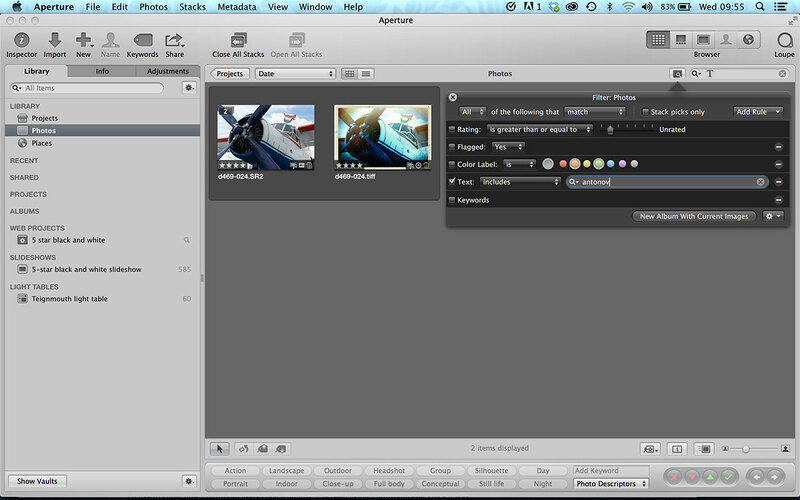 Education, because there are limited resources for the Aperture user, compared to Lightroom. There are a few books and a number of excellent blogs (yours included). Classes are extremely limited. For example, n my city, I believe I have taught the only Aperture class in the last several years, yet there are several organizations that teach regular Lightroom classes. 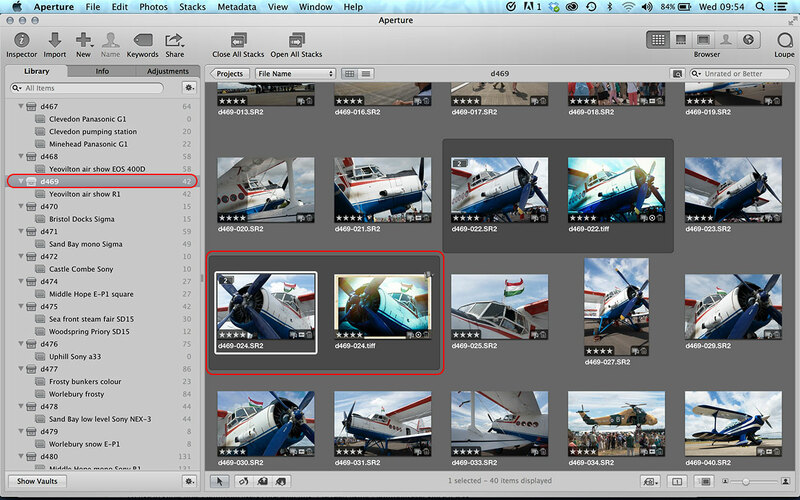 I liken the entire Lightroom Catalog to a single Aperture Project. 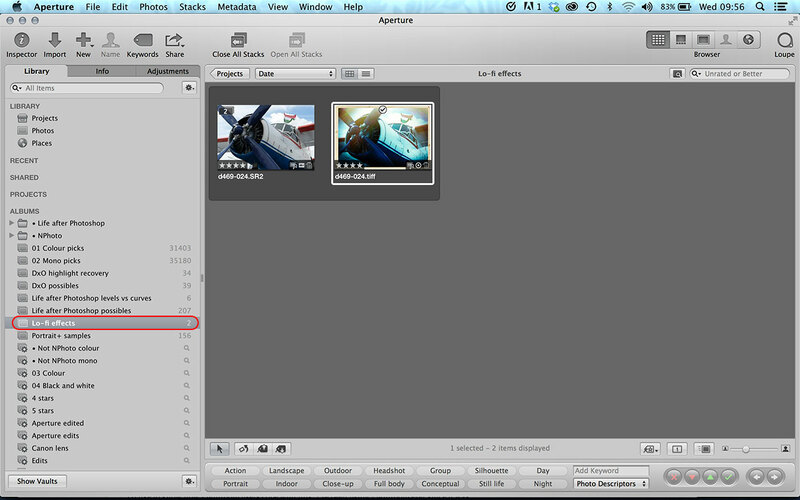 From there you can use Collections and Collection Sets to reflect Aperture Folders and Albums. When you view it this way and stop looking at the Physical Folders that Lightroom exposes through the GUI, then you begin to separate their “virtual organization” from the physical disk organization. Imagine Lightroom didn’t expose the physical disk storage in the GUI, and you only had Collection and Collection Set for organization. That would be comparable to an Aperture Library that only had a single Project, and you used Folders and Albums for all your organization. I’m an Aperture convert who knows both Lightroom and Aperture well. I’m not criticizing either. I’m just describing how I conceptualize the differences in their organization capabilities.